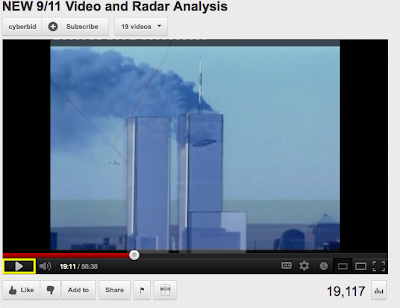 1] Dr. Fetzers Claim: "Holograms Were Used on 9/11"
2]Richard Hall's Hologram Theory Video Analysis. 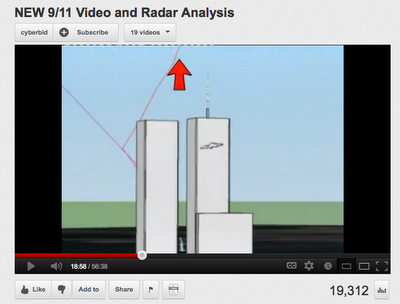 3] Strange Change of Shape of Entry Hole in WTC1, Post Impact. "There is no reasonable alternative to the hologram hypothesis. No real plane could have done these things..."
My own work with individuals on personal freedom issues often involves examining a persons underlying , working assumptions. We all make assumptions and then base our conclusions on those underlying assumptions; for 9/11, and for almost everything else, and then think/act accordingly. Dr Fetzer Assumption  That Newtonian Laws of Physics [in particular Newton's 3rd Law of Motion were not suspended on 9/11. [ I agree with Dr. Fetzer regarding this assumption] . 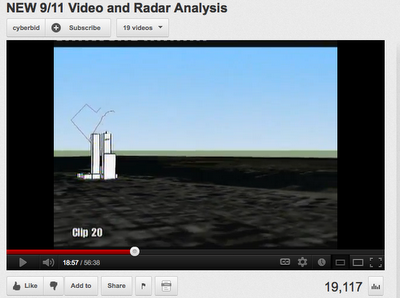 Dr Fetzer Assumption : That the Michael Herzekhani "amateur" video [see end of interview section 4] is genuine and depicts a holographic plane image entering a real tower image, in other words, it is a genuine video capture of a real time, real world, event. Dr Fetzer Assumption : that the Evan Fairbanks "amateur" video, like the Herzekhani footage, is also genuine and likewise depicts a holographic plane image entering a real tower image, in other words, it is a genuine video capture of a real time, real world, event. Dr Fetzer Assumption  [used by Dr Fetzer to "confirm "what he already "knows", i.e. that the above Fairbanks and Herzekhani video sequences 1 and 2 are undeniably genuine "real time" videos that depict holographic plane images] : is that the verbal, alleged "eyewitness testimony" of one "Scott Forbes" is genuine and can therefor be relied on to further confirm the authenticity of the Fairbanks and Herzekhani video sequences. Fetzer / Scott Forbes interview here. ".......lets start with his British accent. What is it about us that makes us automagically want to believe anyone with an Anglo lilt? Why do we give instant bonus credit to Brits? Is it secret longing for our old master the King?" Exactly. I too have noticed the weird, downright ridiculous tendency for Americans in general to be impressed by a British accent- [God knows why], and to subconsciously believe it to be somehow more truthful. Not only in the case of the Forbes testimony, but even more so with regards to the ridiculous, over-the-top "plum in the mouth" BBC accent affected by Mr. Anthony Lawson in his god-awful September Clues "debunking video. This "confirmation" could well be called "working assumption no.5" for Dr Fetzer. I have had specific problems with the Richard Hall analysis leading to his conclusion of the use of holograms on 9/11.
" You state that "only" the header ["UA-175 WORLD TRADE CENTER 11 SEP 01" ] of this data set has been changed by the government,and that the data set itself is still reliable and trustworthy. Why would you believe that? How do you know with absolute certainty that the entire data set issued by the government is not a forgery? 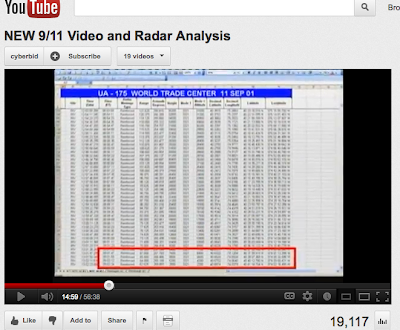 If you believe that they would change the header, why wouldn't they/it fake the data beneath that header" . " In other words, for Dr. Fetzer to believe that the data used by Mr Hall is all genuine despite the admitted fakeness of the header seems a little strange to me , and methodologically questionable as well,especially if his experience with the government's story of 9/11 is the same as mine, i.e. 100% lies to date about everything, including the victims! [but hey, I'm not a scientist :-) ]. and the 45 odd, subsequently released alleged "amateur" video releases of the same event, but mixes all sources together for this analysis. For original morning -aired CBS supposedly"live" "divebomber" sequence as re-aired on the afternoon of 9/11, click here. Dr. Fetzer at one point mentions the strange change of the shape of the first hit entry hole in the Naudet video from a "Z" to a "V" shape.